White Widow should finish in the middle/end of October outdoors in Slovenia. Good luck! when it's harvesting outdoor in slowenia? WHO WILL PREPARE WIDOW IN SLOVENIA??? very good I got 10 regular 10 germinated 7 were female ,lovely big buds,8 weeks flowering time ,super strong ,highly recommended for commercial or first time growers. smoke report,when i toked the first bowl i was surprised on the intensity of the head rush,after 20 mins of euphoric high it levels off to a pretty heavy stone,not for the daytime imo u get nothing done !!! Just chopped 1 of these it yeilded 480 grm of wet bud its very easy to grow,and the nugs are rock hard it took 10 weeks to bloom and 20 days of veg in dirt,a pleasure to grow and i will be back with a smoke report soon !!! By far the best pot I have smoked this century. I have grown some real good strains, but DP WW is a cut above the rest. Easy to grow, Easy to clone. I have clone of clone to 6 generations and it is still as potent as the first. Strangely mine has an apperance like no other I see on line. The single leaf appear more like rounded leafs looking like small oregano leaf. I hope my next plant from seed is just as potent as first one. White Widow was a massive smoke, easy to grow as well. Mine took a week longer in flowering than it said on DP's website but don't let that worry you. It yielded well and ranks as one of the strongest varieties I have grown. 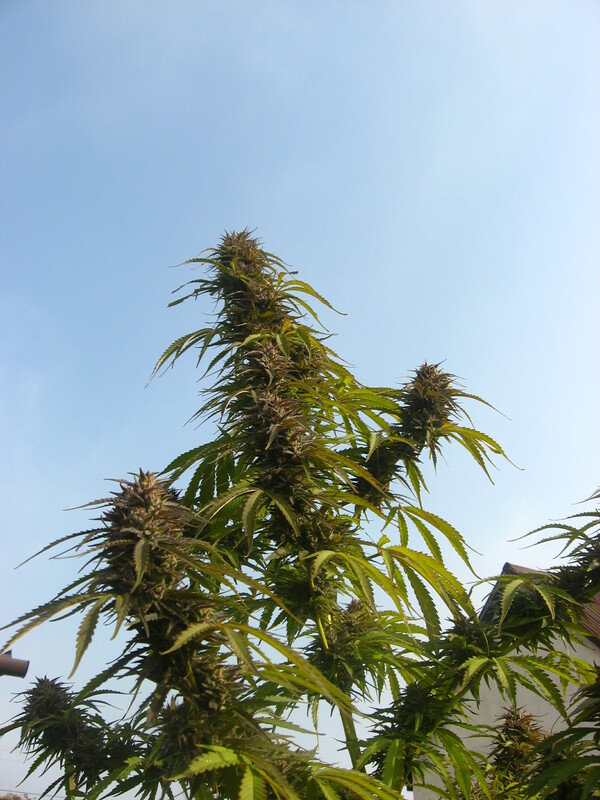 It does have a strong smell late on in flowering so watch out for that, and remember this is NOT a daytime smoke lol !